The United Nations refugee agency, UNHCR, stated on Saturday that “no effort should be spared” in saving lives at sea, following reports of two new shipwrecks on the Mediterranean Sea, in which some 170 people either died or went missing. © UNHCR/Markel Redondo Refugees from countries in Sub-Saharan Africa await assistance and a health-screening by the Spanish Red Cross in the port of Malaga, after disembarking from a Spanish rescue ship. 19 September 2018. “The tragedy of the Mediterranean cannot be allowed to continue,” said Filippo Grandi, the UN High Commissioner for Refugees. According to various NGOs, about 53 people died on the Alborán Sea, in the western part of the Mediterranean. One survivor is understood to have been rescued by a passing fishing boat after being stranded for more than 24 hours at sea and is receiving medical treatment in Morocco. According to UNHCR, Moroccan and Spanish rescue vessels have been searching for the boat and survivors for several days to no avail. The Italian Navy are also reporting another shipwreck on the central Mediterranean. Three survivors, who were taken for treatment on the island of Lampedusa, reported that another 117 people, currently dead or missing, had boarded the ship with them in Libya. UNHCR has been unable to independently verify the death tolls for these two shipwrecks, but in 2018, 2,262 people lost their lives attempting to reach Europe via the Mediterranean Sea. 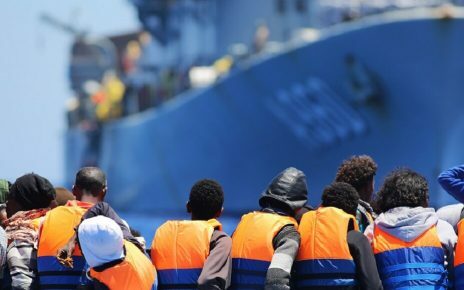 UNHCR’s statement said it is “concerned that actions by States are increasingly deterring NGOs from conducting search and rescue operations”, and is calling for these to be lifted immediately”. At the same time, “greater efforts are needed to prevent refugees and migrants from taking these desperate journeys in the first place”, UNHCR stressed, calling for “more safe and legal pathways to access asylum in Europe… for those fleeing war and persecution so that no one feels they have no other choice than to put their lives in the hands of unscrupulous traffickers and smugglers”.